We’re providing access to private counselling services through the provision of grants, so that leukaemia patients and their loved ones affected by a blood cancer diagnosis get the emotional and psychological support they need. Ann Ashley was a long-term volunteer and supporter of Leukaemia Care who sadly passed away in 2018. During her time with the charity, she was committed to ensuring patients and families affected by blood cancer got the emotional support they needed. That’s why we’ve set up the Ann Ashley Leukaemia Counselling Fund in her memory. The fund opens in April each year and awards are distributed on a first-come, first-served basis until the fund is depleted for the year. Up to a maximum of six counselling sessions, including the initial assessment. Maximum award of £400 per applicant. Your counsellor must be registered with the British Association of Counselling and Psychotherapy (BACP), or the UK Council of Psychotherapy (UKCP). If you require relationship counselling as a result of your leukaemia diagnosis, then counselling through Relate (affiliated through the BACP) is also permitted. Counselling can be provided face-to-face, by phone or web cam. Counselling will only be provided in the UK. You must be a patient with a diagnosis of leukaemia, or a parent, sibling, child or spouse of a patient. You must be seeking counselling as a direct result of a leukaemia diagnosis either as a patient, or the parent, spouse, child or sibling of a patient. You must be a resident of the UK. Support for chronic leukaemia patients struggling with being on watch and wait. Support for leukaemia patients who have relapsed following treatment. Support for patients with dependent children. Support for leukaemia patients 100 days post stem cell transplant. Support for patients struggling with fertility issues as a result of treatment. Support for patients with a terminal diagnosis. Support for parents, siblings, children or spouses struggling with bereavement resulting from a leukaemia diagnosis. Parents, spouses, siblings or children (including young carers) caring for someone with leukaemia struggling with their new responsibilities as carers. Continuation funding for people currently in therapy with a counsellor, whether private or NHS. Retrospective funding for people who have seen a therapist in the past. Counselling provided by a relative or friend, even if they are qualified counsellors. Counselling provided by someone who is not registered with either the British Association of Counselling and Psychotherapy, or the UK Council of Psychotherapy. Counselling provided by a trainee/student counsellor even if they are registered with either the British Association of Counselling and Psychotherapy, or the UK Council of Psychotherapy. Please complete the application form below and return to support@leukaemiacare.org.uk or via post to FREEPOST RLXX-RJRA-ACRH, Leukaemia Care, One Birch Court, Blackpole East, Worcester, WR3 8SG. Please enclose a copy of a letter from your consultant confirming your diagnosis – scan and/or photocopies are acceptable. If you have any queries about the fund or how to complete the application form, please call the Leukaemia Care helpline on 08088 010 444 and ask to speak with Fiona Heath. If you are unable to print this form, we can send you a copy in the post. Please ring 01905 755977 or email support@leukaemiacare.org.uk. 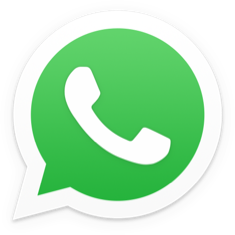 You can also WhatsApp message us for a form in the post by sending a message to 07500068065. You can find out more about why we’ve set up the Ann Ashley Leukaemia Counselling Fund by reading the results of our Living with Leukaemia survey here.